February 16, 2016 – Last week, Family Bridges and the Hotel Oakland launched a new health and wellness program for senior residents of the Hotel Oakland, a historic building in downtown Oakland that is a residential community for 400 low-income seniors. The Village and Wellness Connection will promote healthy aging by encouraging seniors to become proactive about their physical and emotional well-being. By identifying and treating problems before they lead to expensive trips to the emergency room, the Village Connection aims to reduce hospitalizations and health care costs. Family Bridges is well known for their Hong Fook Adult Day Health Care Centers, located in downtown Oakland around the corner from Hotel Oakland. The Hong Fook Centers help frail elderly and adults with disabilities regain their ability to live independently and ease the need for family care by providing health services and therapeutic activities in a safe and supportive environment. The program is an expansion of the Hotel Oakland Village, a social outreach and engagement program started in 2011 to reduce isolation among senior residents. The new Village Connection will provide participating seniors with a physical and social/emotional assessment, then help each person develop a long-term health plan. If the senior wishes, the confidential plan can include input from family members, physicians and caregivers. The plan adjusts as a person aging and his/her needs change. The Village Connection’s Wellness Director will review seniors’ medications for incompatibilities, and each individual’s plan will support dietary guidelines, memory care activities, exercise, fall prevention and emotional well-being. The Director acts as a point person for coordinating each senior’s care, working with the individual’s support network and when needed with hospitals, discharge planners and transitional care providers. All with the goal of helping residents avoid institutionalization and age in place. 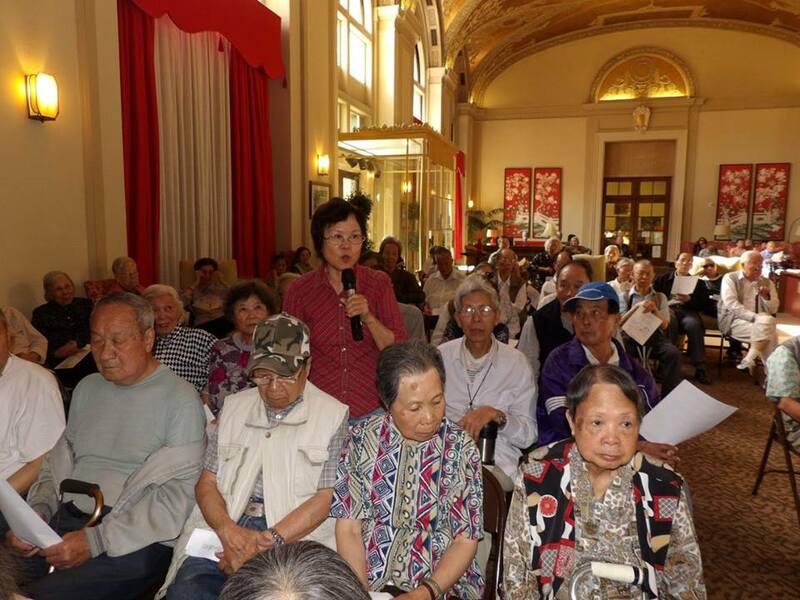 June 15, 2015 – Last year, Family Bridges’ Hong Fook Community Based Adult Services Centers began working with other local Adult Day Health Care providers and the California Association of Adult Day Services (CAADS) to establish a “CBAS Health Home” model. The goal was to offer solutions – and opportunities to contract – to hospitals, managed care organizations, hospitals, accountable care organizations and physician groups, as well as work with Medi-Cal’s Health Homes for Patients with Complex Needs program if it launches in Alameda County. The Family Bridges model targets high-utilizers who are at risk of institutionalization. It features a Nurse Navigator who provides close interaction with primary care physicians and other care providers. Interventions focus on assessing, care planning educating, monitoring, and coaching on self-management, as well as social supports such as transportation, help with ADLs, or overcoming isolation. The program has been piloted at Hong Fook using an outcome measurement system developed by CAADS, and shows remarkable success, including significant reduction of Emergency Department visits. Click here to view a powerpoint that Corine Jan, Family Bridges Executive Director, presented in January at the CCI Stakeholder Workgroup meeting. January 4, 2016 – Beginning in January 2016, family caregivers could have more support for their role in helping patients discharged from the hospital. A new California law, SB 675, requires hospital staffers to involve family caregivers during the hospitalization and discharge process. The intent is to improve patients’ overall health and reduce their chances of readmission. Sponsored by State Senator Carol Liu, the law mandates that hospitals give patients an opportunity to identify a caregiver; notify that caregiver when the patient is to be discharged; and provide information and instruction on the patient’s needs and medications following the hospitalization. Hospitals still must follow privacy laws and aren’t required to release information if the patient doesn’t give consent. California is one of 18 states to pass such laws during the past two years, part of a growing awareness among policymakers and legislators that family caregivers play an important role during and after a patient’s hospitalization. December 7, 2015 – UCSF released a research brief comparing care coordinator policies in the duals demos. The paper looks at dementia care coordination in CA, IL, MI, NY, OH, SC and VA. The report found that while most state contracts have some language specifying care coordination, key informants noted a lack of adequate and qualified personnel to meet members’ needs. The report also found there was little detail in state requirements about the training content or competencies required for care coordinators working with individuals with Alzheimer’s disease or related dementias. Click here for the report. March 13, 2015 – In January, Alameda County’s fledgling Aging and Disability Resource Connection won a Targeted Technical Assistance grant from the Administration on Community Living. Click here to go to the press release. The SCAN Foundation’s January 8, 2013 webinar helped community-based service providers and advocates understand the fundamentals of managed care, and what is involved in integrating long-term services and supports into a managed care model. The Webinar will orient you to the brave new world of managed care, and is an essential start in preparing your organization for the 2014 launch of the Coordinated Care Initiative in Alameda County. Click here to go the SCAN Foundation web page and watch the recorded webinar.